Every day, Watch This offers staff recommendations inspired by a new movie coming out that week. This week: Timed to the release of Seth MacFarlane’s oater spoof A Million Ways To Die In The West, we single out some favorite Western-comedies. Jimmy Stewart cleans up a roughneck Old West town without the use of firearms—at least for a while—in the 1938 comedic Western Destry Rides Again. The legendary star confronts the shoot-’em-in-the-back bad guys by facing them head-on with the law. The son of a famous lawman who fought at Tombstone, Tom Destry Jr. (Stewart) arrives in Bottleneck after crooked land baron Kent (Brian Donlevy) murders the old sheriff and appoints drunk Wash (Charles Winninger) as the new one. Motivated to set the town straight, Wash ditches the bottle and makes Destry his deputy, only to discover that his new recruit is a far cry from his action-first father, preferring instead to carry no pistol—a weapon that only gets people in trouble—and deal with criminals by locking them up behind bars. Destry immediately finds himself with numerous conflicts to resolve, as Kent has also taken to bullying ranchers into giving up their lands (either through force, or by hoodwinking them at the card tables) so he can charge others a fortune to move cattle across the territory. 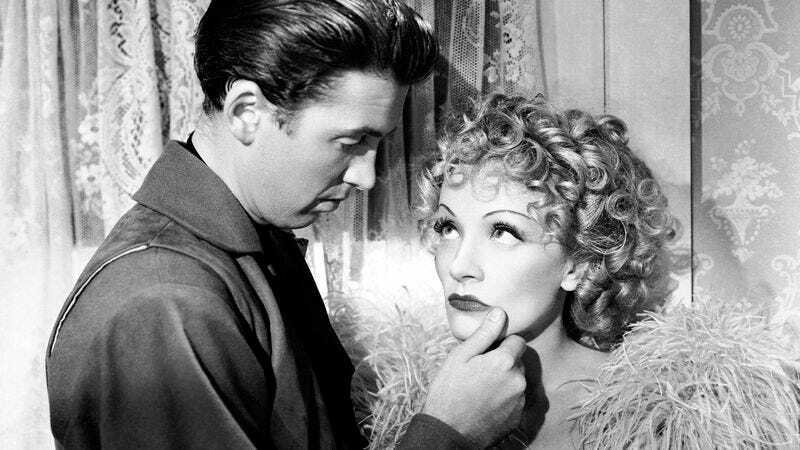 The ensuing plot is handled with a lightly humorous touch by director George Marshall, who pits Destry against both Kent—who like his fellow townspeople, takes the lawman for a wimpy, foolish push-over—and Frenchy (Marlene Dietrich), the local saloon’s bottle-pulling, face-slapping songstress. While the character’s two musical numbers grind the proceedings to a halt, Dietrich’s rapport with Stewart—she tough and aggressive, he sweet and sly—is electric. It also supplies the film an amusing goofiness, bolstered by a ridiculous running gag involving Mischa Auer, playing Frenchy’s Russian husband, looking for a pair of pants to call his own. Availability: Destry Rides Again is available on DVD, which can be obtained from Netflix, and to rent or purchase from the major digital services.